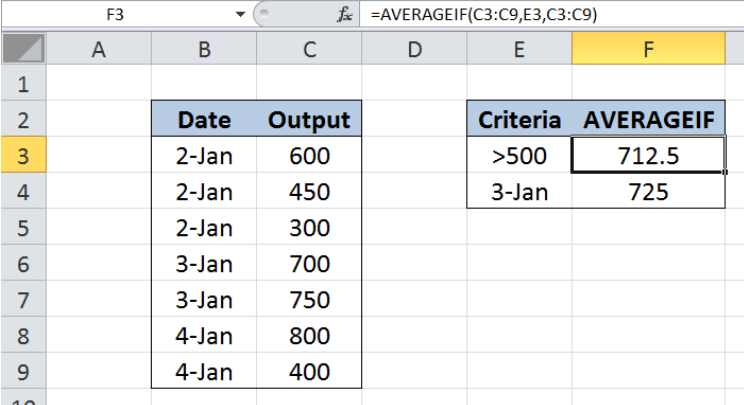 While working with Excel, we are able to average values that satisfy a given criteria by using the AVERAGEIF function. 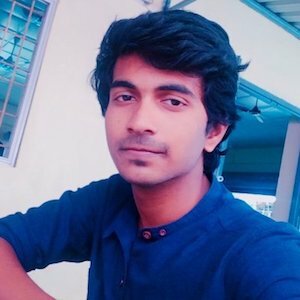 This step by step tutorial will assist all levels of Excel users in the usage and syntax of AVERAGEIF function. Our data consists of two columns : Date (column B) and Output (column C). In cells E3 and E4, we enter the criteria for our AVERAGEIF function. 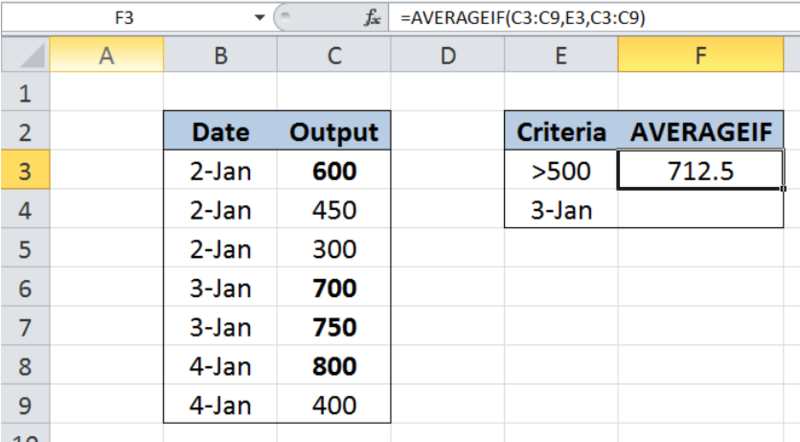 We want to calculate the average of outputs greater than 500 and the average of outputs on January 3. The results will be recorded in cells F3 and F4. The data range that we will evaluate is C3:C9. Our criteria in cell E3 is “>500”, which finds outputs greater than 500. The data range of values we want to average is also C3:C9, which contains the outputs. As a result, our formula calculates the average of 600, 700, 750 and 800. Finally, the result in cell F3 is 712.5, which is the average of the four values. The data range that we will evaluate is B3:B9. Our criteria in cell E4 is “3-Jan”. The data range of values we want to average is C3:C9, which contains the outputs. 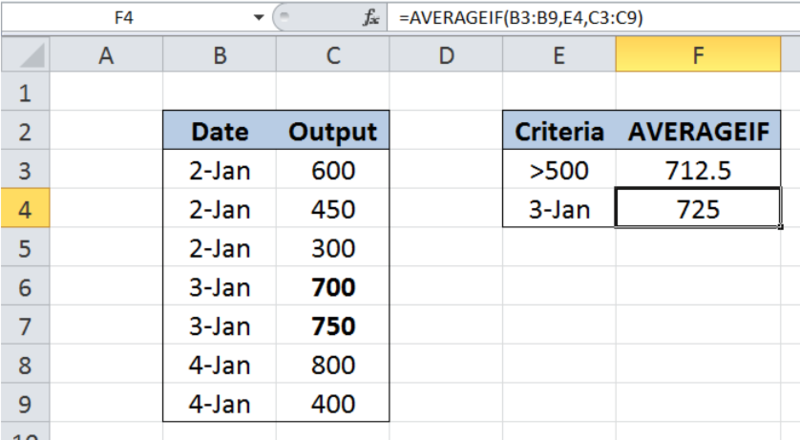 As a result, our formula calculates the average of 700 and 750, which are the outputs on 3-Jan. Finally, the result in cell F4 is 725, which is the average of the two values. 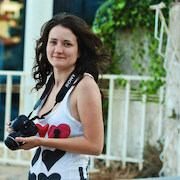 If no cells in the range meet the criteria, AVERAGEIF returns the error value #DIV/0! Need help with averageif formula. Only Expert required. i need to add the countif and averageif function to the project im working on.